This gable had a brick veneer. 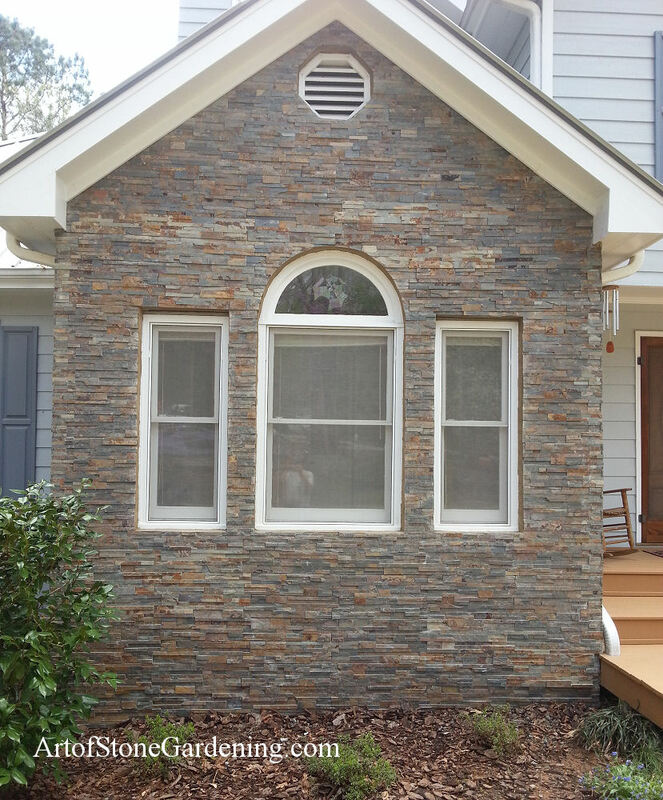 The homeowner wanted a different look so attached the stone tile directly onto the existing brick. 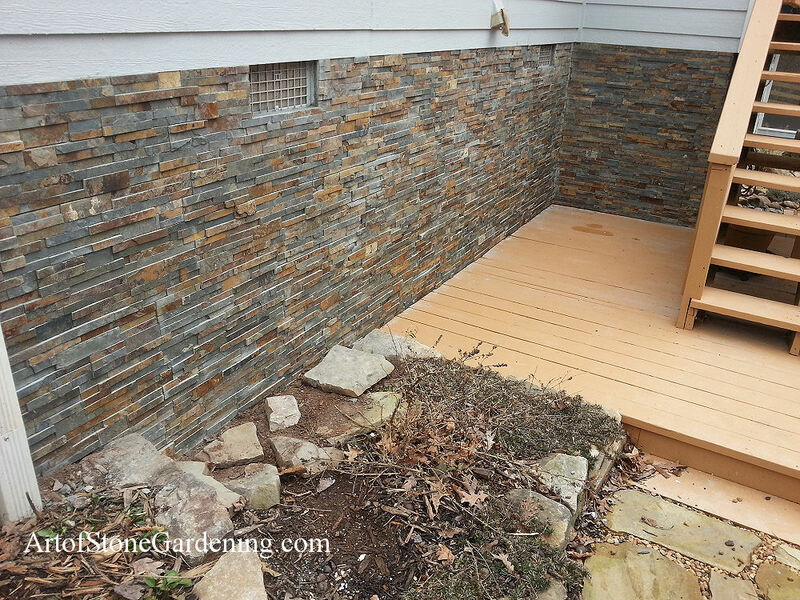 This look updated the house and blended in with other natural stone used throughout his garden.